Although there is a shortage of well trained nurses in Nebraska, the nationwide shortage hasn’t hit this state as hard as others. Even so, the shortage is expected to continue for the foreseeable future. 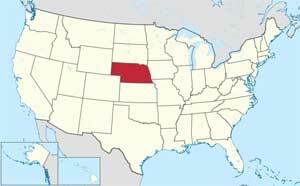 That means that it is an excellent time to look into nurse schools or nursing programs in Nebraska. Not only will you be training for a rewarding career but one that is stable and secure as well. In Nebraska, the LPN program is the quickest route into the healthcare workforce as a nurse. There are 14 accredited LPN programs available throughout the state, and they take an average of 12 months to complete. The programs are considered to be highly competitive since LPNs are in high demand in Nebraska, and the career itself is gaining popularity. Programs that are college based will require courses in math, humanities, English and natural science at the primary level. Once you have graduated you will be able to take the NCLEX-PN exam. LPNs in Nebraska receive highly specialized training and can do almost everything that an RN is capable of doing including giving injections, drawing blood, performing CPR, taking vital signs and also receive training in bedside manners. There is expected to be as many as 40% more RN job openings by 2018. There are 16 accredited nursing schools in Nebraska. You may choose to get an Associate Degree in Nursing (ADN) which is about a two year program, or a Bachelor of Science in Nursing (BSN) degree which is usually a four year program. There are four accredited BSN programs in Nebraska, and three of them are located in Omaha. With either option, graduates can write the NCLEX-RN exam. Registered nurses perform a wide variety of duties on a daily basis. Some of these duties include giving injections, creating treatment plans for patients, performing diagnostic procedures, treating medical emergencies and taking and recording vital signs. Online programs are gaining popularity in Nebraska as with any other state. They are a convenient alternative to returning to school full time and make good sense for RNs who wish to further their education while continuing to practice. Programs that are available include LPN-RN, RN-BSN and RN-MSN. Accreditation varies from course to course so it would be best to check out your choice with the Nebraska State Board of Nursing.